It has been a long time since I worked with polymer clay and I forgot how much I loved it! 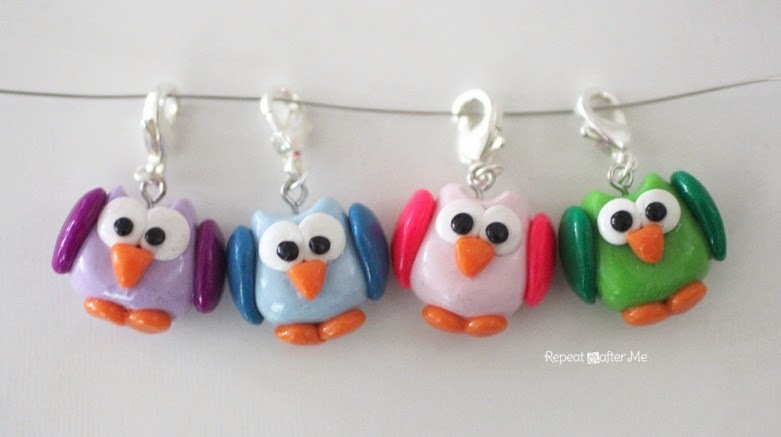 It’s a perfect material to make custom stitch markers with. 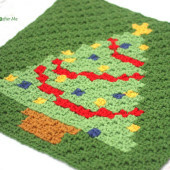 Something any crocheter would love! 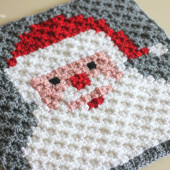 Make them for yourself or make them as a gift for your crocheting friends and family members. I chose to make cute little owls but keep in mind that you can really make any kind of shape/animal/food/object/etc that you can think of! And did I mention that these could easily be made into earrings or charms or magnets?! 1. Polymer Clay. 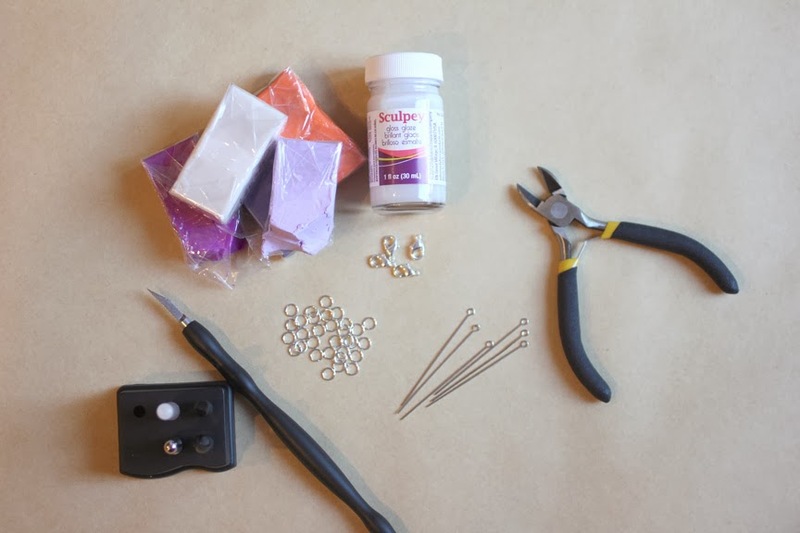 Fimo, Sculpey, and Craft Smart are some popular brands. I used Sculpey III clay that I purchased at Michaels in a variety color pack. 3. Wire cutters and you will probably also need some needle nose pliers as well. 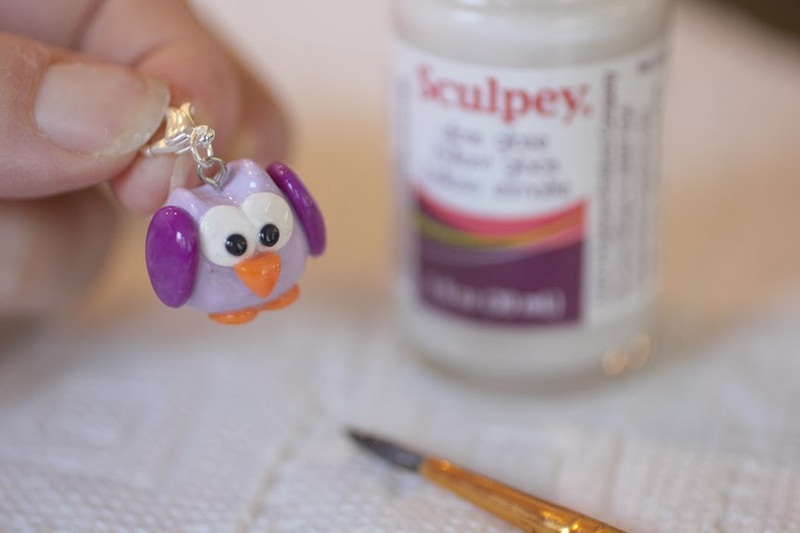 To make the owl you will want to take a small 1/2 inch ball of clay and mold it into an owl body shape as seen in the picture. 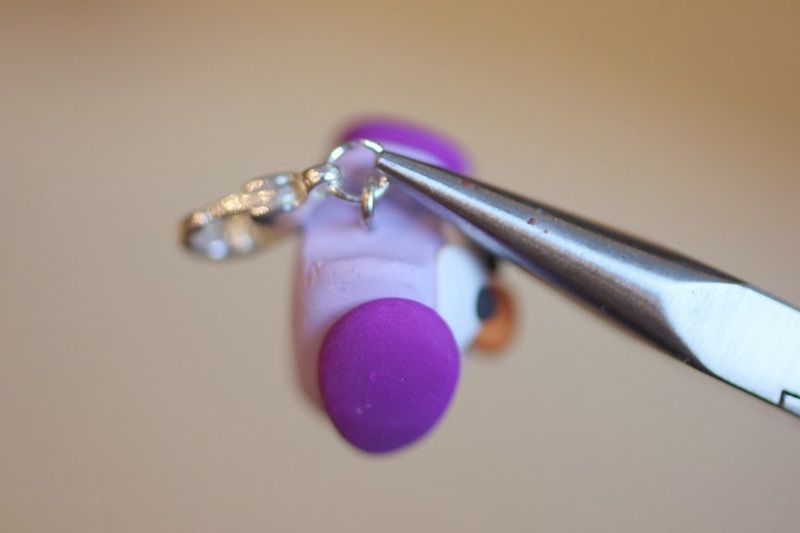 Flatten the bottom a little and use one of your sculpey tools or a round pen to create the dip at the top for the ears. 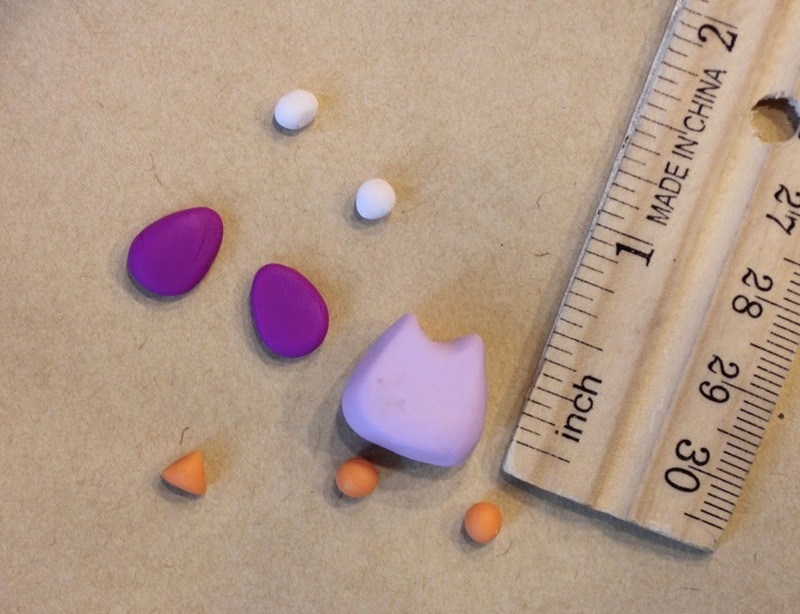 You will need two small orange balls for the feet, two white balls for the eyes, a small triangle for the nose (just shape with your fingers), and the smallest balls of black clay you can possible make for the eyeballs. The wings start as a ball, squish it flat and then pinch the end a little to shape the wing. Press the white eyes on, then the wings, then the nose and then the orange balls will press onto the bottom for the feet. Then add teeny tiny black balls and press those on for the eye balls. 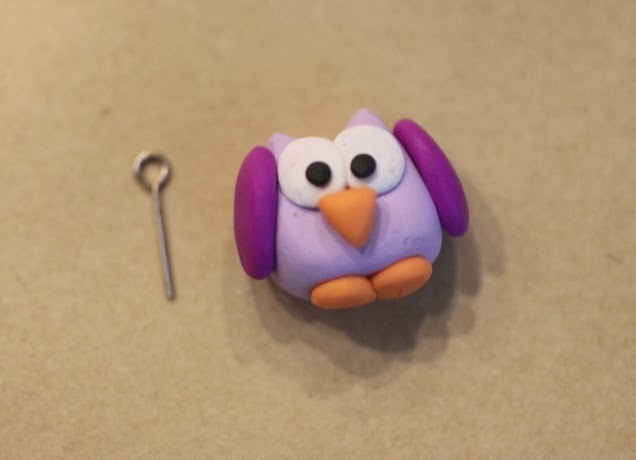 Next you will trim the eye pin so it is shorter than the length of your owl. Poke it through the top of the head between the ears. Putt on a baking tray and bake according to instructions on clay package. Mine baked at 275 degrees for 15 minutes. When cooled, you will want to attach the jump ring and the lobster clasp. You will probably need to use needle nose plier to open the jump ring. Next you will paint on the gloss glaze. I found it easiest to hold the piece by the clasp while painting. Let glaze dry for 24 hours and they are ready to use! So cute. This is a nice little present to gave away. Thanks voor the tutorial. 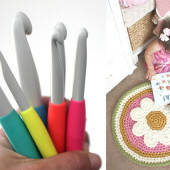 I LOVE these…am definitely making them! Thank you!! 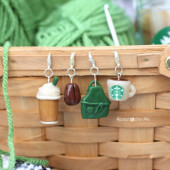 i LOVE these and have been complaining for the longest time that i can't find stitch markers i want to use. these will be added to my to-do list 🙂 Thanks! Thanks for sharing your easy-to-understand tutorial! 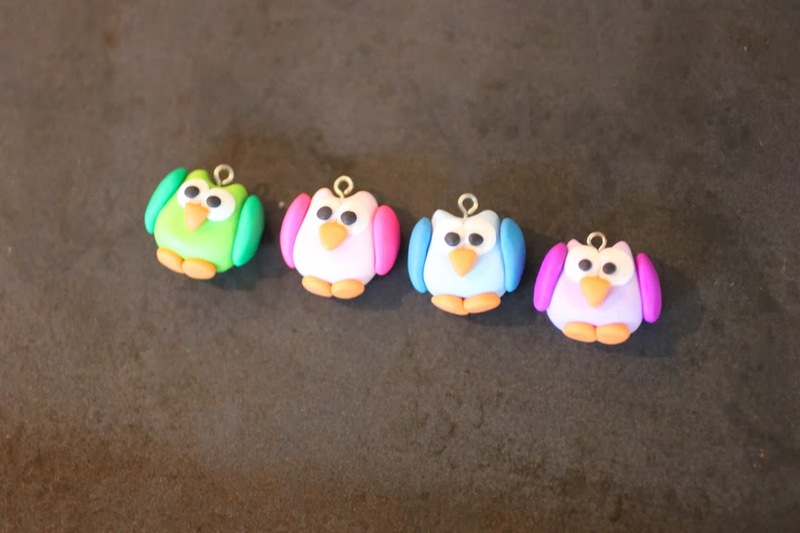 I always wanted to try clay & now I feel a bit more confident 🙂 Those owls are adorable! Sooooooooo cute! Are they heavy at all? Love them, love them, love them……!!! How does the clay not come apart where it is touching another piece? These would actually be PERFECT for zipper pull charms. I have a friend that is totally obsessed with owls. I normally am not a "clay" person, but you make these look soooo easy to put together I am definitely going to try my hand at these cuties! Thanks for putting up instructions! They are adorable! Thanks for the tutorial. I have to try this! Do you have any leads on finding more critter ideas for the clay? Any chance I could buy them? I tried the clay craft once and my fingers were too clumsy but I love the items that are made from it. Olivier > J’y ai dÃ©jÃ rÃ©pondu 2 fois : c’est plus transparent oui (et non plus simple) mais il aurait fallu que je m’y prenne plus Ã l’avance et sans doute que j’attende une semaine de plus pour choisir ou rÃ©aliser les 5 ou 6 dessins que je vais vendre. Thank you so much for sharing. I love them! Now I'll have to go shopping for some clay. Thank you so much for sharing. I live them! 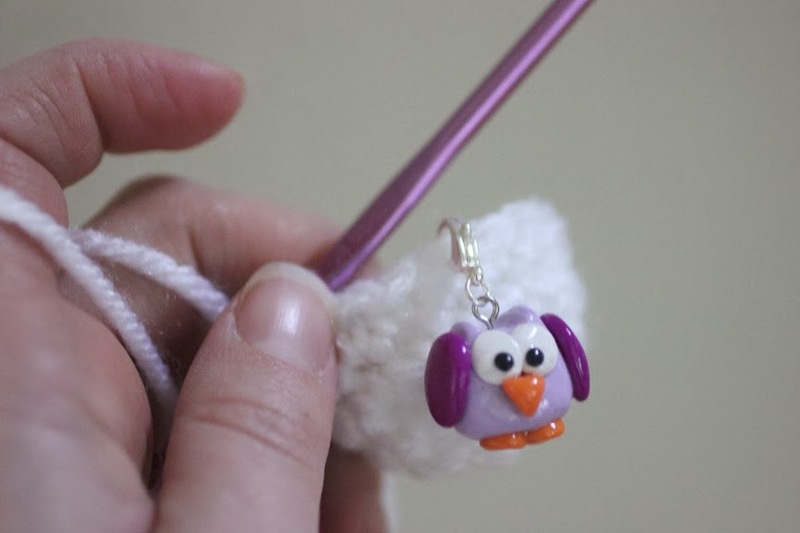 I will be putting a tutorial for stitch markers on my blog, and I can include a yarn ball. 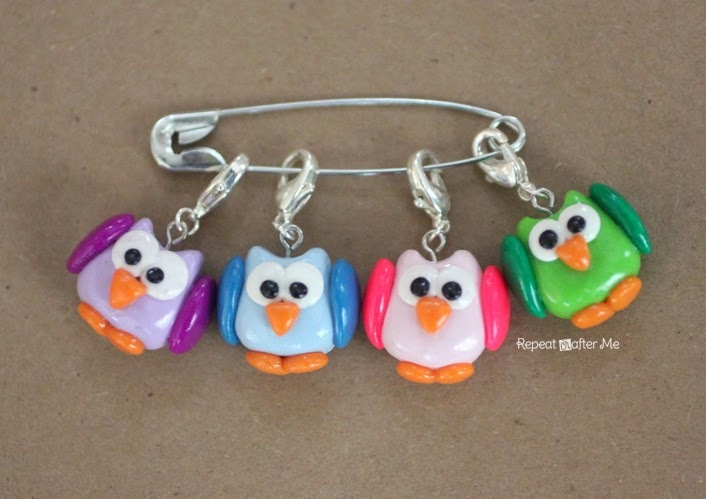 Do you, or anyone else, make these little stitchmarkers to sell? 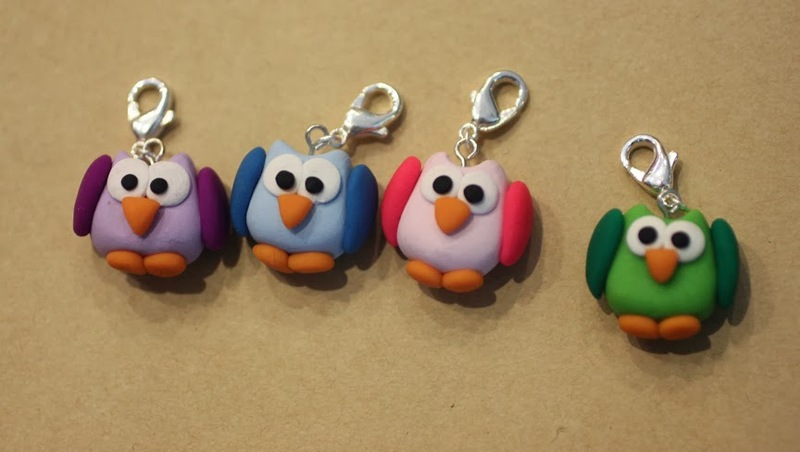 How many do you think you could make from a package of clay?